What is the CPM Directory? The AMI CPM Directory presents Certified Practising Marketers and their skills to the professional community. Providing a trust mark of marketing professionalism and standards, the Certified Practising Marketer designation helps marketers in their career advancement, improving earning potential, knowledge sharing with industry peers and building professional brand and credibility. 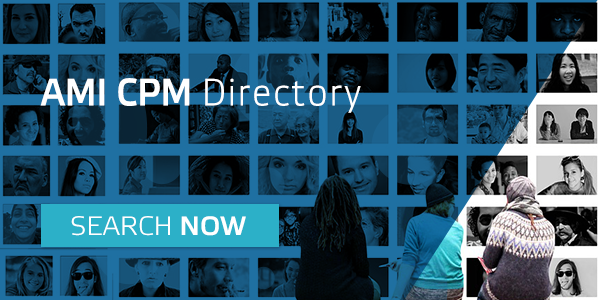 The CPM Directory is temporarily available only to AMI members. Log into Member Hub to find qualified Certified Practising Marketers near you. Search the Certified Practising Marketer (CPM) Directory for trusted and qualified practising marketers near you. Promote your CPM trust mark by logging in to Member Hub to update your CPM Directory Profile. Why choose the Certified Practising Marketer trust mark? These days just about anyone can call themselves a marketer. But what distinguishes those who say they are a marketer from those who are actually experienced practising professionals is becoming a Certified Practising Marketer (CPM). A CPM for marketers is what a CPA is to accountants or a chartership is to engineers. The CPM certification in the workplace is a differentiator for marketing professionals – not all marketers are created equal. The Certified Practising Marketer designation is the only peak professional benchmark of its kind for marketers in the Asia-Pacific Region. Unlike tertiary of vocational education, CPM is recognition of both formal education and successful application of your marketing knowledge and skills. The completion of a program accredited, certified, or registered by the Australian Marketing Institute entitles you towards a credit reduction in time needed to become a CPM.